A little spot in the online universe for me to keep track of all my gluten-free casein-free (GFCF) adventures, mishaps, and recipes! We started the GFCF diet (and soon thereafter soy-free, GFCFSF) in October 2007 for our son, who is now 5 and has been diagnosed with Sensory Processing Disorder (SPD). We've noticed all sorts of improvements both in him and in our neuro-typical ("NT") daughter (8 yrs) too. Click *HERE* to shop in my GFCFSF Amazon store! I call this "Yeast-Fighting Chicken" because it has simple ingredients that are helpful when fighting yeast (candida albicans). This recipe is really easy to make and is super yummy. This recipe is basically from the Pampered Chef website, although I don't follow it anymore. If you want to use the official recipe, it is HERE and is called "Smothered Chicken with Garlic." Spread a thin layer of olive oil in your stoneware baker (on the lid too). Take the packet of giblets out of your chicken. Wash your chicken with some water. Put the chicken in your baker with the breast side up. [Take off your rings now!] Put some olive oil into your hands and rub it all over your friendly little chicken. (Ooo, what a nice massage!) Now take your herbs/spices and rub them all over the chicken. Peel the cloves from 1 or 2 heads of garlic. Yes, that is a lot of garlic! You will be using the full cloves, so you don't need to dice or crush them. I don't always have 2 heads of garlic, but use whatever you have and it will still taste good. Put the garlic cloves all around the chicken. Cover the baker and put it in the oven for 1 hour. After the hour, take the lid off and put it back in the oven for 20-30 minutes. It's done when a meat thermometer stuck into the thickest part of the thigh reads 180 degrees F.
When it's done cooking, wait 10 minutes before carving it. Carve it into a dish that can hold the juice too. Pour the juice and all those yummy garlic cloves onto the chicken & serve it all together. I like this with gluten-free pasta and some veggies of choice. When your pasta is ready, add some GFCFSF butter (Earth Balance), some sea salt, and some of the juice from the chicken. This makes enough for a family of 4 plus leftovers. You can also use the carcass to make some yummy homemade chicken broth. Just throw it in a big pot of water and let it simmer all day. The all-natural chicken cost me $10.00 at Whole Foods. The lemon cost me less than $1.00. The garlic cost me less than a dollar. And the olive oil and spices I already had in my pantry. So the total cost on the chicken is about $12. Looking for GFCFSF recipes - ran across your site. Love the pool thing! We were similar. Please contact me at indiecandy@gmail.com. I have a GFCFSF and artificial free candy company. Would love to talk! Thanks for this blog...I am always looking for new ideas for chicken. And this looks and sounds yummy! The picture of your cooked chicken looks so appetizing. I just made a whole chicken last week for supper, it was successful. Thanks for ur recipe, I just love ur blog .. Just bookmark it . Keep writing . Thanks. Our darling daughter (4yr) was diagnosed with SPD as well- we just began her (Well, all of us) on a GFCF diet and holy moly- can we say miracle?!? Looking for More . . .? I only have a few posts on the page. To find more, click "Older Posts" above this message. You can also find other posts by using the labels/categories list on the right-hand side of the page, or by using the archives menu. I've got more than 130 posts on this blog, so sit back and make yourself at home! COPYRIGHT. All words and images on "Tori's GFCF Blog" (unless otherwise credited) are (c) 2007-2009 Tori's GFCF Blog (http://gfcfblog.blogspot.com). DISCLAIMER. I am not a doctor. I am not a nutritionist. I'm just a mom who has been implementing the GFCF diet since October 2007 (and soy-free about 5 weeks thereafter). Please do not rely upon my blog as your sole source of information or advice. I only offer my personal experiences for your consideration and can not be held responsible for any adverse reaction or experience you or your child may have should you choose to try something I have tried. Remember that every child is unique, and what works for mine may not work for yours. Lend4Health is my other website, where parents pursuing biomedical treatment of their children's autism can get community-funded, interest-free "micro-loans." Click here to go to Lend4Health. you are visitor number . . .
We reached 20,000 visitors on 5/19/09! Our son was diagnosed with Sensory Processing Disorder (SPD) / Sensory Integration Dysfunction (SID) in August 2007. 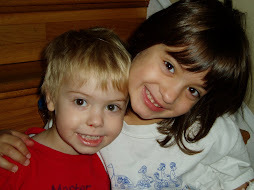 Since many children with autism also have SPD issues and are improving with the GFCF diet, we went GFCF in October 2007 to see if it would help him (it did!). we are free of . . .
Free of: gluten, casein/dairy, soy, egg, rice, garbanzo bean, kidney bean, peas, pineapple, buckwheat, flax, almond, peanut, cashew, hazelnut, pistachio, tomato, coconut, sunflower, sesame, walnut. Trying to be low-medium oxalate too. 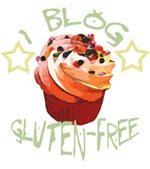 Note: This blog was created when we were "only" gluten-free, casein-free, and soy-free. We have gone through various restrictions and rotations since then, based on identified IgG sensitivities and IgE allergies. So you will find recipes here that include ingredients we are currently free of. i am a mother of two, in my 30s and have been married for 14 years. born in the midwestern u.s., i went to college in maine and have lived in colorado, maryland, virginia, and california. i also have been an exchange student in brazil and turkey, have backpacked through western europe on my own, and have traveled for work, school, or play to iceland, russia, egypt, kenya, and japan. THANKS for coming! please stop by again! got a comment or question? write to me HERE.